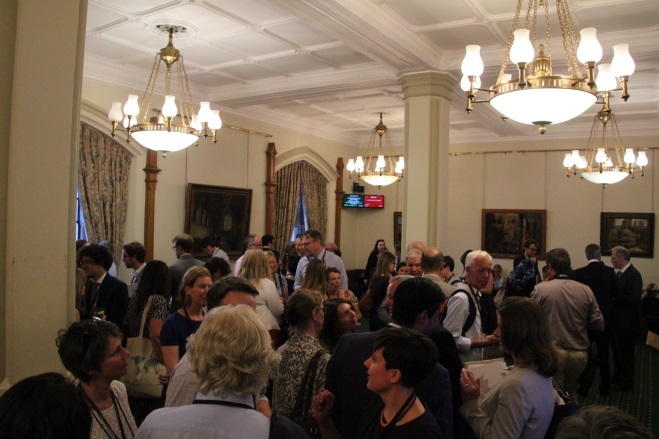 Philip Dearden, Head of CIDT was invited to a reception hosted by Gillian Keegan MP in the Churchill Room in the Houses of Parliament on 3rd July 2018. 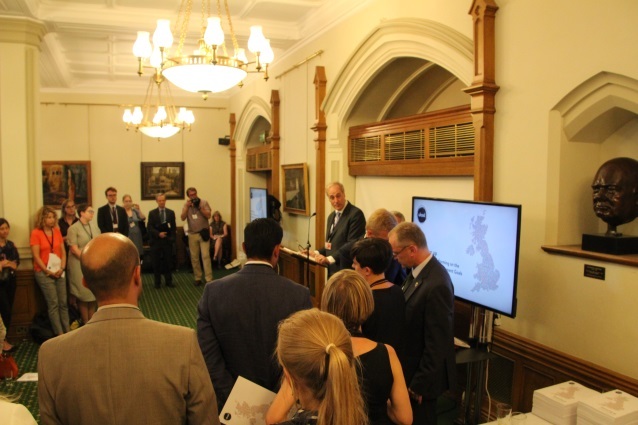 At this reception, the report Measuring up: How the UK is performing on the Sustainable Development Goals was officially launched on behalf of UK Stakeholders for Sustainable Development (UKSSD). 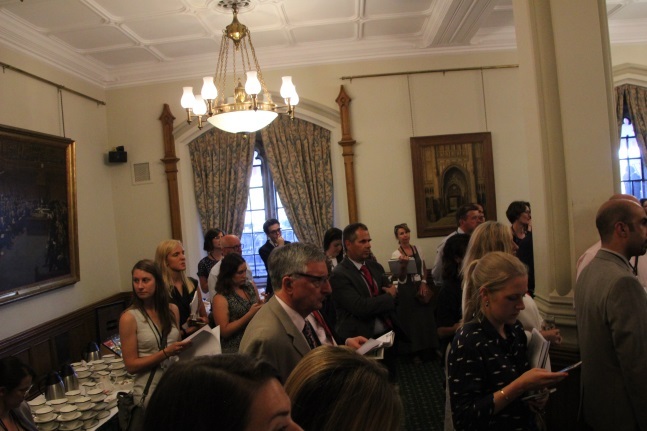 A full copy of the report can be downloaded at the UKSSD website. 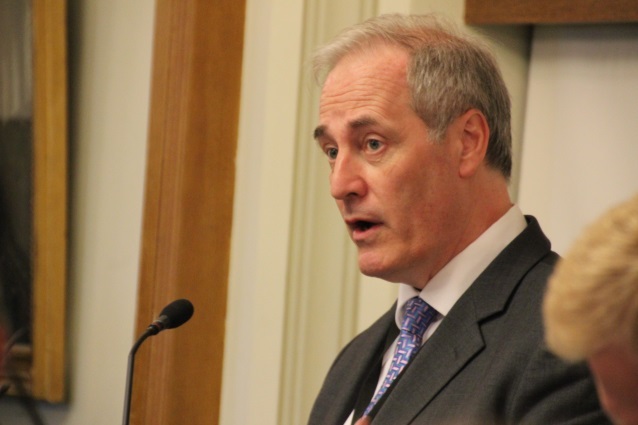 Lord Bates, Minister of State at the Department for International Development (DFID) thanked the UKSSD for the hard work in producing the report and announced that DFID will consult on its process for the UK’s 2019 report to the UN on the Goals. 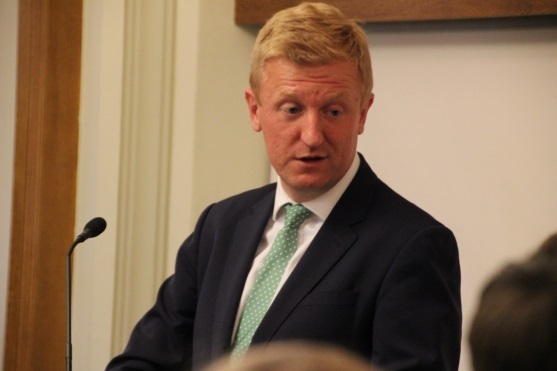 Oliver Dowden CBE, Parliamentary Secretary (Minister for Implementation) reported on how the UK government is fully committed to the implementation of the SDGs in the UK. Emily Auckland, UKSSD Network Director and Co-chair UKSSD and Dominic White of WWF explained the genesis of UKSSD and the production of the report. Measuring up is the most comprehensive review of the current situation in the UK conducted to date. It informs us as to what is happening in the UK for people, the environment and the economy. 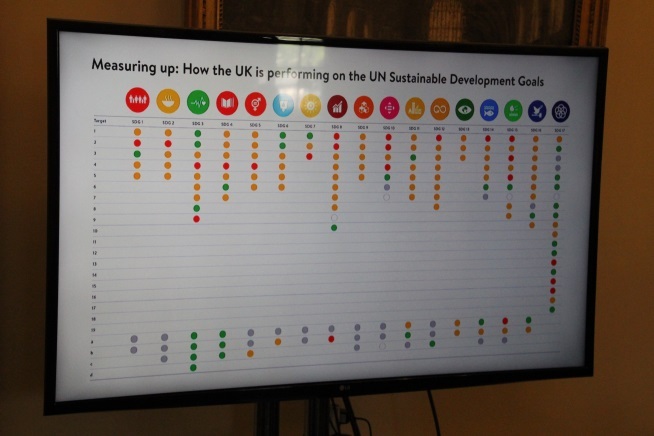 Out of 143 relevant SDG targets, the UKSSD found that the UK is performing well on 24%, with 57% where there are gaps in policy coverage or performance is not adequate and 15% where there is little or no policy in place to address the target or the performance is poor. 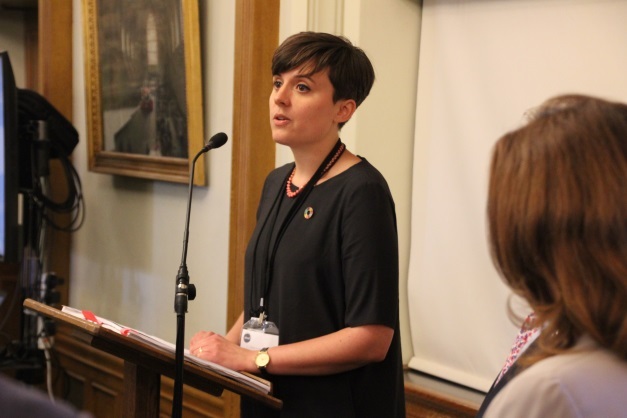 Both Emily and Dominic reported that it fully needs to be recognised that the SDGs cannot be achieved by individual organisations or government alone. 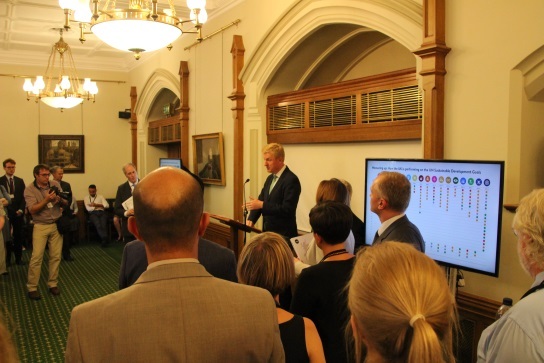 The Measuring up report reveals the links between the targets and highlights the importance of working together. This information now helps organisations identify where they are having, and could have, an impact on the SDGs. 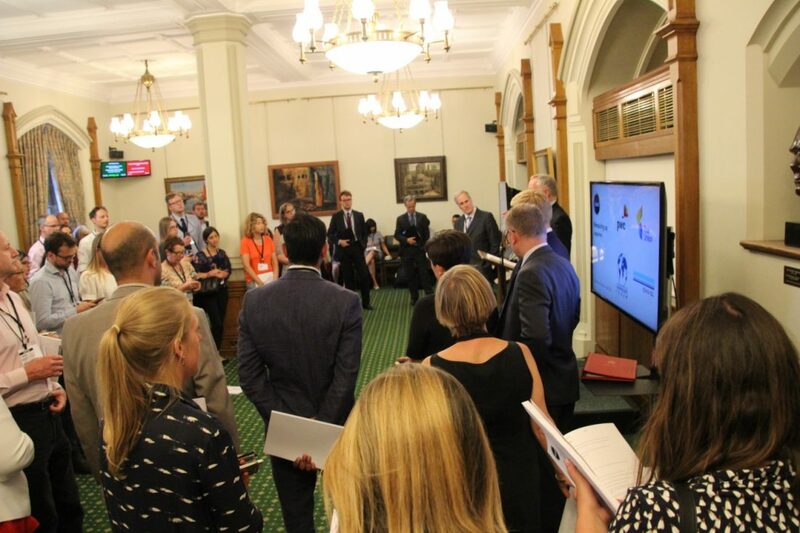 By looking at the relationships between the Goals or Targets we can also identify organisations whose work relates to our own – even if they’re in a different industry or sector. This opens the door to interesting, and potentially unexpected, opportunities for collaboration. 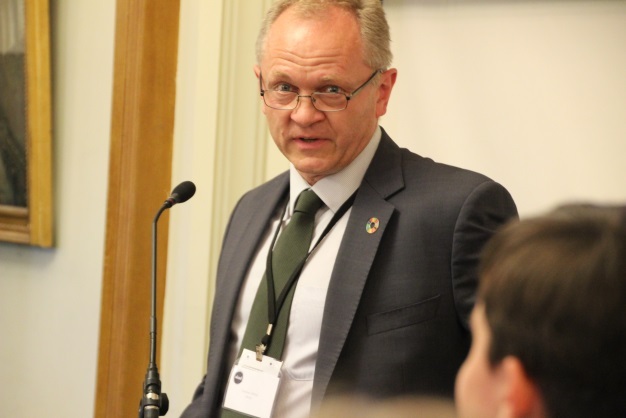 “On reflection it’s very sad that to date the government has done so little in regards to planning any real implementation of the SDGs in the UK. It’s now good that at least some people realise that the SDGs also cover the UK and that the vacuum has been strongly filled by the newly emerged UKSSD group. They are to be congratulated on producing a quality report that ironically would have shamed most parliamentary parties. I now seriously hope the current government will take up the report and start implementing the required action across the whole country”. 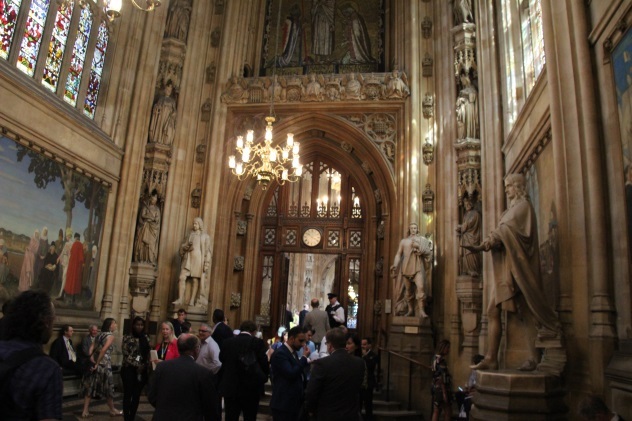 Some further scenes at the launch of the SDG report in Parliament. All photos by Philip Dearden.